Age 88 of Montrose passed away on Monday, October 29, 2018 at her home. Private graveside services will be held at Montrose Cemetery. Arrangements were entrusted to Nelson-House Funeral Homes Martin Chapel. Betty was born in a Logging Camp 31 in Elmira, Michigan on November 4, 1929. She was the daughter of Paula (Wright) and Everett Spidel. Betty was the oldest of 15 siblings. She married James Wesley Spencer on February 15, 1949. He preceded her in death on June 13, 2001 at 54 years of marriage. Betty loved and worked with children most of her life. She loved to sing and played many musical instruments. 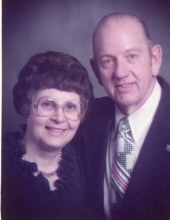 Betty and Jim loved working in their yard and traveling. Betty is survived by her son, James (Cindy) Manly Spencer; her 4 grandchildren, Stephanie Taylor, Jennifer Spencer, Nathan Francis, and Neil Francis; her brother, Darrel (Judy) Moore in Kenai, AK; her special niece, Carrie Carson that she raised as a daughter; and her 2 great-grandsons, Nathan II and Noah. In Betty's own words: "Thank you to my family and friends during my many years of cancer. Love me now, but let me go." To send flowers or a remembrance gift to the family of Betty Jean (Spidel) Spencer, please visit our Tribute Store. "Email Address" would like to share the life celebration of Betty Jean (Spidel) Spencer. Click on the "link" to go to share a favorite memory or leave a condolence message for the family.